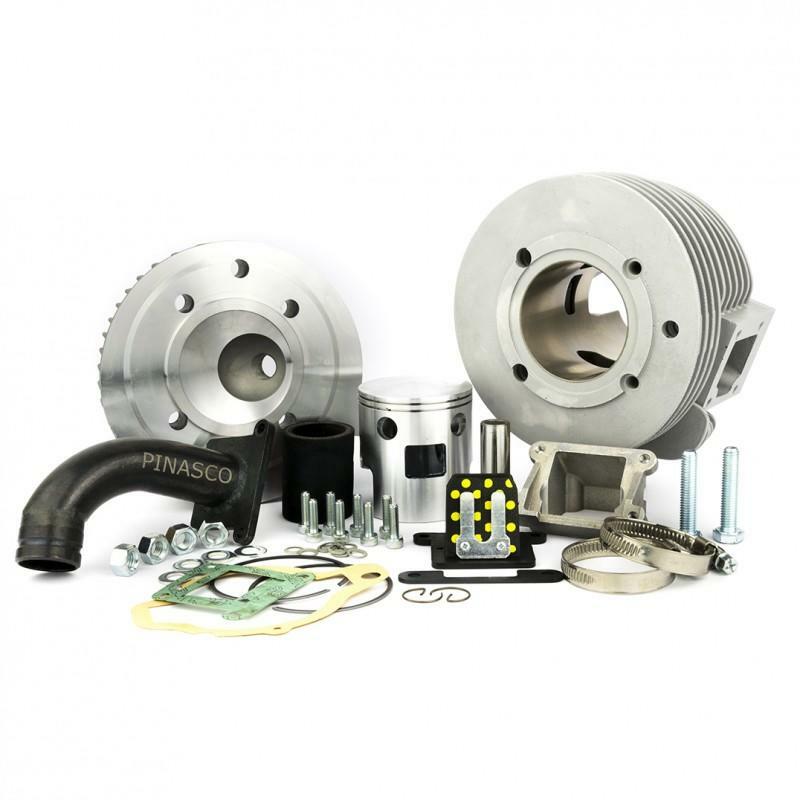 This is the amazing Pinasco "Nordkapp" 160cc Reed valve aluminium cylinder kit for Wideframe Vespas with 2-port engines. 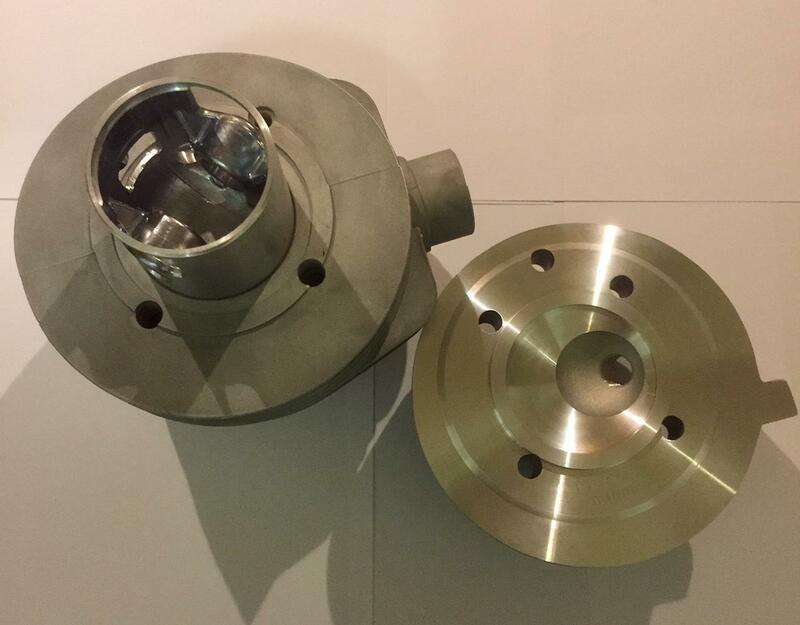 The reed valve is a direct intake into the barrel and the reed block + inlet manifold are included in the kit. Some advantages of the reed valve intake are increased power & torque especially at low revs, it adds on approx 1hp over the standard piston ported Nordkapp kit. Fuel economy is fantastic and you will see a great saving on your investment, also the tickover speed stays nice and steady due to the way the reed valve works. 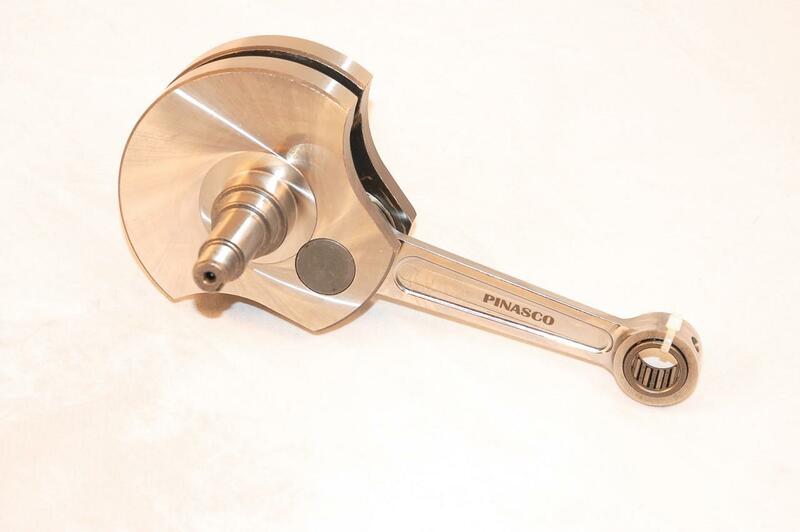 The Pinasco cylinder is designed for the 57mm stroke crankshaft of the 150cc models. 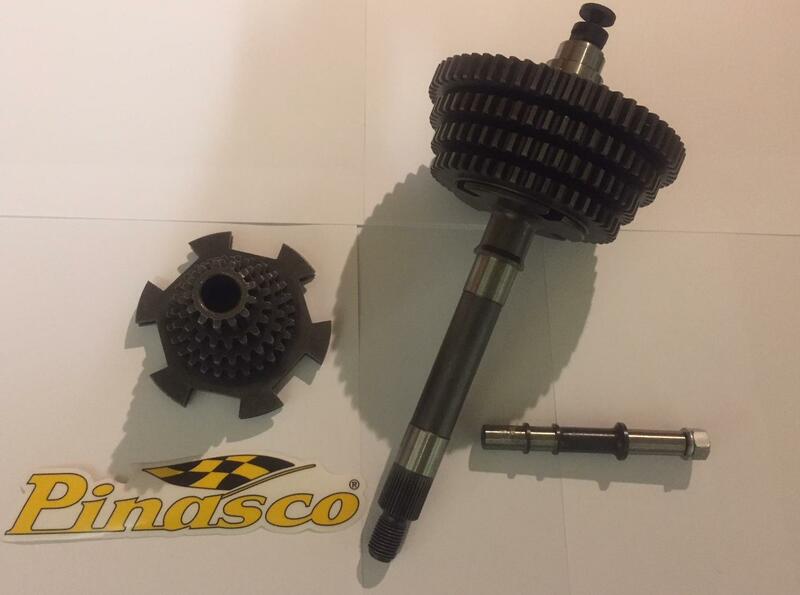 When fitting the cylinder to a 125cc engine, the original 54mm stroke crankshaft must replaced with the 150cc (57mm) crankshaft. Cylinder head is fixed with 5 bolts for extra secure sealing.